Absolutely perfect, I loved every bit of this book from cover to cover!What a terrific, evenly paced page turner this is. I had to keep slowing myself just to make it last longer as I just wanted it to go on and on.From the very beginning I was totally absorbed by this story, everything I love in a book is here! From the gorgeous cover to the charismatic characters, I was captivated. The story begins with a bit of background into the child Lena, and how she...a Jewish child?...came to be found lost and wandering the streets of wartime Paris after being estranged from her mother. Too young to understand what was going on and too frightened to speak, at all...what will become of her?Fast forward to the 1960's and Lena is a young woman now, working her way into a respectably good job in the Law Courts of Melbourne (Australia). Her past, though she knows very little of her own heritage, is never far from her mind as her french accent is a constant source of intrigue to the people she meets...often annoyingly so for her.Lena comes across all sorts of people in her job, rubbing shoulders with high court judges and lawyers, to members of the police force and criminals alike. Her excellent occupational skills and work ethic combined with her good looks and charming french accent attract a lot of admirers. However, after losing everything by choosing to walk away from a well to do, though dreadfully failed marriage, Lena is not in a hurry to settle and learns to embrace her newfound independence as she starts to successfully build a life for herself...by herself.She is finally starting to feel settled and is making new and genuine friendships as she slowly builds a life and history of her own design.It is during one regular working day in court that Lena hears a voice that makes the hair stand up on the back of her neck and chills her to the bone. It is not what the voice is saying that has caught her attention, but the sound of that voice, the pitch.She can't fathom why she has been so affected by this voice and tries hard to recall having ever heard it before, and if so where..or when?Then the dreams start....Just when you thought this was already a good story, it now starts to change gears and things get really interesting as Lena starts to dig around in her past and slowly try to piece together the turn of events which caused a little girl to retain a memory of a voice which will come back to haunt her so many years later and so many miles on, into her adulthood.This book makes every part of itself, every piece of information, important and compelling, so that the reader is held a willing and captive audience throughout. The author has made sure that the reader is not left guessing, but at the same time is eager for more because it is such a compelling and involved story, told in such a way that it grabs your interest from the outset and doesn't let go. Even the side stories are relevant and fascinating in their own right and keep you fully engaged.Despite the sensitive accounts of actual historical events of WW2 Nazi war crimes upon the Jewish people, the book doesn't weigh you down with excessive emotive detail but rather invests you with a desire to learn more.This is my first book by Lorraine Campbell but it certainly won't be my last, I have already added her other books to my tbr list and highly recommend this book.This is a keeper!Many thanks to Tracey Allen at Carpe Librum for my own copy which I won in her blog giveaway.I gave it a full 5★s and can't wait to read more from this author. Excellent - I enjoyed every word of this one. My View:It is very interesting how two people can read the same book so differently – a good reason to have an open mind and check out books which might not necessarily be in your favoured genre - as long as the reviews are positive. I read an online review that stated that this book is about love and romance – not my view at all! I read this book as a powerful narrative about a strong women embracing the beginning of the feminist movement in Melbourne in the 1960’s – a woman who wanted to and did make decisions for herself, a woman who was comfortable in her own skin, a woman striving to be self-reliant, a positive woman and overall a very determined and pragmatic woman; I could not believe the choices she made in Rio. (No spoilers here).This narrative of feminism, Melbourne in the 1960’s and one woman’s strength is but one element of this multi-dimensional story. We hear the personal stories of war time 1940’s from the viewpoints of Lena’s mother as she struggles to protect her child firstly in Latvia and later in Paris as the ethnocentric war against Jewish people begins, from the captain who provided safe passage to those escaping Latvia on his ship, from Lena’s auntie in Paris and the historical accounts of war via the records of the newspapers and courts of the time, the Berlin Document Centre, trials of war criminals and other such resources. I dare you not to be moved but these accounts. The stories and voices here overlap and intertwine offering the reader a rich and vibrant narrative. I loved every word on every page; such an exquisite and engaging narrative. Love story? That is not how I read this book; a multifaceted story of feminism, war crimes, retribution, courage and strength and complex relationships. Yes there are relationships in this novel - what novel concerning people wouldn’t be complete without the interactions between characters? Maybe the word lovers as opposed to love story is more fitting here? You be the judge. Lorraine Campbell’s The Butterfly Enigma is an exhilarating novel about a woman’s determination to find the truth about her childhood and her unrelenting search for justice. Lena Marceau has always wondered what her parents were like. She hardly remembers her father’s death and escaping Latvia with her mother following the Nazi invasion. Shortly thereafter, Lena was found wandering the streets in Paris, lost and alone. Twenty-five years later, Lena’s failed marriage has sent her in search of a fulfilling career that will pay the bills. After studying and mastering high-speed shorthand, Lena begins working for the Melbourne Law Courts. While in court, she meets Judge Ferik whose voice completely terrifies her; though she cannot place him, Lena believes she has met Ferik before. When Lena sees Ferik’s wife at a party wearing a pair of butterfly earrings identical to the ones her mother wore, she is convinced that she and Ferik share an unpleasant history. While her mysterious past unfolds, Lena is whisked up in a scandalous affair and helps uncover the secrets of a serial killer. Thrilling, heartbreaking, and even sensuous, The Butterfly Enigma will appeal to a wide range of readers as Campbell’s prose has something to offer everyone.Within the first chapter, Campbell immediately invites readers into a gripping narrative; from the start her words are electrifying, and the action she paints is absolutely harrowing. The stakes are obviously high, and it is impossible to not get swept into the emotional drama of Lena’s escape from Latvia.Sadly, Campbell is unable to keep up with the emotional momentum of the opening chapters. Once Lena is introduced as an adult in Melbourne, the sparkle in Campbell’s writing fades. This part of the novel launches into a series of hardly interesting events and as a whole acts as a kind of commentary on the judicial system in Melbourne. Though some of her descriptions of court reporting and general law are interesting, Campbell’s explanations are not concise enough, and her writing mostly lacks the emotional drive. The plot becomes bogged down by these details, the breathtaking opening chapters now a faint memory.Trudging through the first half of the novel, however, is ultimately gratifying. After a long introduction to her characters, Campbell once again writes with tenacity as she begins to really delve into the mystery of the serial killer and uncovers important people and stories from Lena’s past. The emotional element, now mixed with a bit of horror, makes The Butterfly Enigma impossible to put down.Unfortunately Campbell’s plot lines do falter at times. Though the serial killer prompts a lot of the novel’s exhilarating moments, this part of the story seems disappointingly unrelated to the large overarching story. It feels random and coincidental. And even though Campbell successfully elicits mystery in other parts of the novel, Judge Ferik’s secrets and his connection to Lena feels too predictable. The plot in general is void of a shocking twist. And finally, Campbell focuses too much on Lena’s romantic relationships. Her complicated love life is trivial in light of other events in the novel, yet it receives just as much attention. Lena’s tumultuous relationships are distracting and overworked. As a whole, Campbell’s novel is engaging as her character’s narratives weave and intersect with each other and as their most sought-after answers are unveiled. Once the complex plot gets moving, the novel is a page-turner through the end. The opening chapters alone show just how beautiful Campbell’s writing is. But perhaps the most powerful aspect of The Butterfly Enigma lies in the tough question it poses about what is morally justifiable, which continues to loom long after finishing the novel. Review written for and published by Portland Book Review on January 28th:The Butterfly Enigma, by Lorraine Campbell, primarily takes place in Australia during the late 1960s. Lena Marceau has just finished a messy divorce, and is on her own for the first time in three years. Although she has family in the area Lena is determined to make it on her own and by chance she hears about court reporters and decides to give the career a try. It turns out that Lena loves being a court reporter, and she happens to be very good at it as well. Lena falls into the courthouse rhythm until one day she hears a voice from her past, a voice that summons up mind-numbing terror from a childhood she has suppressed. Lena searches for evidence that her hunch is more than a hunch, and that the seemingly high society Judge is actually something much worse; something that has ties to her forgotten childhood and the darker atrocities of World War II.The Butterfly Enigma is a stand alone novel, although it does take place in the same universe as Lorraine Campbell’s Resisting the Enemy series, with several characters making cameo appearances and brief mentions of events that took place in the earlier books. The book is a beautiful example of historical fiction that tackles several difficult topics including Nazi war crimes, infidelity, and the ongoing struggle of feminism in what is largely a man’s world. The book spends some time focusing on the day-to-day life of a court reporter, which is brought to life brilliantly and is never once dull or boring. This is also a somewhat unusual story as it leaves things slightly open ended, with the character studying her options for her future – this doesn’t necessarily weaken the ending, it instead reflects the realities of life, although some readers may be longing for everything to be tied off with a pretty bow.Lena is a complicated character, having survived a dark personal tragedy during WWII as well as managing to survive completely alone for a time as a child in Nazi occupied France, she has clearly developed into a strong woman. Her recent divorce from her husband didn’t destroy her; it instead made her become more self-reliant. Following this, she approaches men looking for a partner instead of a husband in the traditional sense. Some readers may find her liaison with Nordstrom a bit morally ambiguous, particularly with regards to her relationship with Harry. However, this isn’t something that is particularly unheard of, it’s just different in that we usually hear of such affairs being perpetrated by men. All said, Lena is very much her own woman, and while she may enjoy the company of a man, she doesn’t need one.Another segment of the book that touches on a morally ambiguous topic is that of revenge. While Lena has a right to her anger, as do many others that were victims of Nazi war criminals, the lengths that she goes through to achieve her vengeance – under the banner of justice – is worth discussing. Were Lena and her friends justified? Does what they did actually count as justice? This is a difficult topic, and is a relevant discussion as this is something that appears throughout history time and time again.Thought provoking, poignant, and bold, The Butterfly Enigma is a complicated story that beautifully reflects the messiness of everyday life. It is a story that touches on potentially painful and difficult topics, and lets the reader view things through the bold and damaged eyes of Lena Marceau – a character that proves there are many different ways of fighting back. This is a romantic drama featuring a displaced young woman yearning to trace the truth ab0ut what happened to her long-dead parents, retribution for what happened to them and about her relationships with men and what they could contribute to her cause. It harks back to Nazi occupied countries. The woman survived childhood during WW2, now fast-forward to her life in Melbourne Australia during the 1960s. Please do not read further if you haven't read the book, I don't want to tell you the story first.She is no Loner - she has a brother and relatives overseas, an ex-husband and former life in Sydney.Newly independent after divorce, by necessity ambitious to improve her financial situation, she works towards attaining a highpaying job which facilitates the means to pursue her past, and, it being casual work, allows her to travel at will. A fantasticly-coincidental, accidental, voice recognition ignites her drive to investigate that person with whom she wors. Separately, sight recognition of another man elicits her help to solve a crime.Romantically desirable to the point where men are willing to change their lives for her, she uses people for her own agenda. Her target's former collaboration with the enemy is something she detests, yet she collaborates with others to infiltrate and achieve her goal. There is manipulation, two-timing and hypocrisy in actions by herself and others who align with her. This is a dangerous woman, not a warm and fuzzy character. She seems to carry out behaviour she claims to detest in others but she will use anyone to get ahead in life. She's driven, reckless and cold-bloodedly ruthless in retribution. A (literally) fantastic scenario closes a chapter in her life, her goal. We all know, except in fiction it would never happen, but isn't that the appeal of fiction? Afterwards we may wonder...Could she be a two-dimensional character, unable to fully engage, love or trust? Will she ever settle? Will she choose which man? No-choice is perhaps her choice. Did she ever settle in her first marriage? Does she always like to have one foot out the door...options open, remain detached? Then, is there a crack in the trust from those who suspect her? Only a sequel will tell. Firstclass research, descriptive, but first and foremost a love story of many aspects: love and yearning for unknown mother and father, love for her brother and adopted family and relatives, romantic love or lust for men who love or lust for her, love in many forms. It's a very busy book covering a short time, mainly a romantic-drama (chick-lit by another name), clumsy in places, but overall a good attempt to entertain. Lena Marceau is a woman without a past. Oh, she grew up with a family in France, married well, or so it seemed, is now divorced from a controlling husband, and has an excellent position as a court reporter in the Australian court system and is enjoying life in the swinging 60s. But Lena had been found wandering the streets of Paris during the Nazi occupation, she was raised by a loving family but without any knowledge of her origins and real family. Then, in the normal routine of her work in court, a familiar, terrifying voice, that of the judge, breaks through her subconscious and begins her on a journey of recalled nightmares and a quest for . . . justice? vengeance? It is a quest that leads her into danger both at home and abroad as she seeks the truth about what happened to her mother and the butterfly earrings that match the necklace she remembers from childhood.Lena is a complex character, becoming self-reliant after her divorce and seeking only partners rather than a husband. She has a brother, also adopted, who has a mysterious life in Israel and as she researches German immigration into post-war Australia and violence begins to threaten her personally, she is drawn into the world of Mossad and counter-terrorism. The story brings up the moral issue of the ambiguity between justice and vengeance and may leave the reader with an uncomfortable feeling about how Lena deals with resolving issues of fear, hatred, and passion for retribution.Campbell herself has been a court reporter and gives us excellent glimpses into that particular career and the suspense she generates in all the settings of her book, from Riga, Latvia in 1941 on a foggy passage to freedom, to the fear of separation from her mother in Paris, 1943, to Melbourne, Tel Aviv, Crete, and Rio de Janeiro in the late 60s. It is a tautly told plot with many twists as Lena's search takes her in two directions, one to trace her mother's past, the other to prove the judge's past of brutality and duplicity. It is a compelling tale that keeps you turning the pages until it's final conclusion. I liked a number of aspects of this novel, especially the realistic depictions of life in Melbourne in the 1960s and in what I learned about the life of court reporters of that era. Lena, the main character, has come to Australia from France (for reasons that are not clear) and during her work as a court reporter hears the voice of a judge that brings back repressed memories of her childhood in Latvia. She determines to find out what happened to her parents in World War Two. 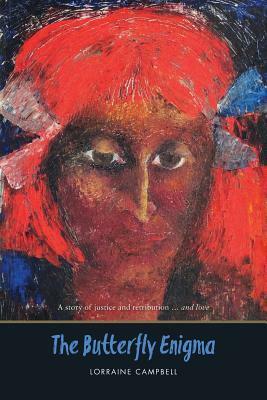 The novel pursues the themes of justice and retribution and moves along at a good pace. However, I became concerned with Campbell's one-sided view of modern Israel and its determination to exterminate Nazi war criminals by whatever means. I couldn't agree with her moral stance in the end and thought her attitudes led to simplification of characterisation. I also found the love themes of the novel quite unconvincing. This was an entertaining read and I enjoyed most of it. The most enjoyable content were in the descriptions of 1960s Melbourne and I found the scenes that took place in the courtrooms and law offices to be both informative and quite fascinating. Unfortunately, I found every male character's inability to resist the innocent femme fatale charms of our heroine a little tedious and her choice of lovers slightly annoying. The end was disappointing as I found the description of the overseas operation to be far fetched and at times ludicrous but in all it was a solid read with some excellent descriptive elements. If you grew up in Melbourne you will enjoy this book for the nostalgia. Otherwise, it's an enjoyable book, a quick read that explores Australia and its relationship to the world after WWII, in particular, war criminals from Europe. Part romance, part thriller, it was definitely entertaining. This story has every reason to love it. A fiercely modern feminine character, intrigue, romance, French flavor and revenge. A must-read - a very well written book set in the sixties in Melbourne. A gripping book which is difficult to put down. Thoroughly recommended! Lorraine Campbell - Lorraine is a licensed shorthand-writer. She worked for many years as a Court Reporter with the Victorian Government Reporting Service, providing verbatim transcripts of Supreme Court criminal trials and in other jurisdictions. Her articles have been published in On Line Opinion, News, and Girl. A resident of Melbourne's Bayside, Lorraine adores the opera and is an avid moviegoer. She also likes to keep fit and runs every morning along the beach or in the local parks. Currently she's hard at work on her next novel. What she would really like to be doing is lying on a chaise longue, popping chocs and reading crime thrillers - or absolutely anything by Alan Furst.